NOTICE OF OPEN BOOK TOWN OF LEROY DODGE COUNTY Pursuant to s. 70.45, Wis. The Town of LeRoy was established in 1846. The Town of LeRoy is located in northern Dodge County, bounded by Fond du Lac County to the north, the Town of Lomira to the east, the Town on Williamstown on the south and the Town of Chester to the west. The Town Hall is located at N10725 Hwy. YY near the unincorporated village of LeRoy. The current town hall was purchased in 1985 and serves as the regular town meeting and polling place. 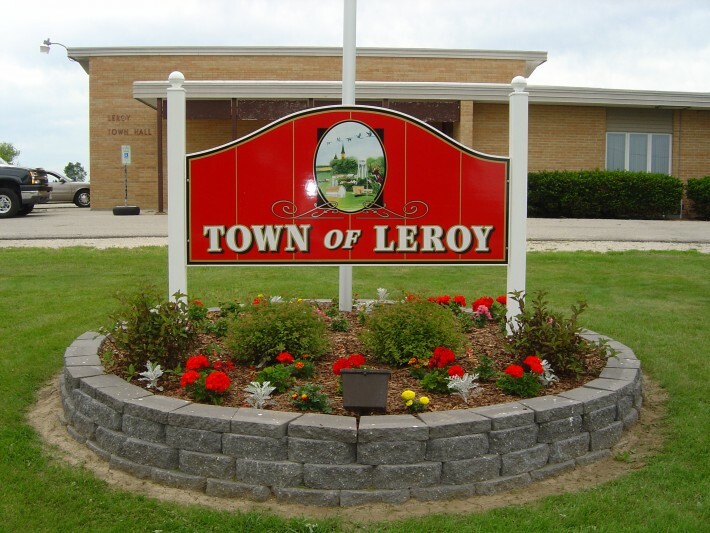 Town of LeRoy is serviced by 3 school districts Mayville, Lomira and Oakfield. The Town is also protected by 3 fire departments - Knowles, Kekoskee and Brownsville. Mayville EMS provides ambulance service to the Town. We also have Kekoskee and Brownsville First Responders providing assistance to the Town. The Town is made up of residential and agriculture areas. There are 1116 people living in LeRoy as of the 2000 census. Build permits are required in the Town of LeRoy for new construction and some remodeling. Permits are issued by the Dodge County Planning and Development. A Town permit is also required. You can get more information from Erma Franke. For information or zoning, land divisions, and permits please contact Erma Franke, the Assessor for the Town of LeRoy. On information on how to reach her or other Town officials refer to our Town Directory link. The Town utilizes Independent Inspection, Ltd. for all new building of 1 & 2 family dwellings. For information on what requires inspections call Erma Franke.